Check out these references on Pretreatment. They can all be found on the EPA Website (www.epa.gov). 1. Application and Use of the Regulatory Definition of Significant Noncompliance for Industrial Users, September 9, 1991 (Memorandum) ERIC: W986; NTIS: PB95-201786. 2. CERCLA Site Discharges to POTWs Treatability Manual, August 1990 540/2-90-007 ERIC: W570; NTIS: PB91-921269 Disk PB91-507236. 3. CERCLA Site Discharges to POTWs: CERCLA Site Sampling Program -Detailed Data Report, May 1990 540/2-90-008 ERIC: W515; NTIS: PB91-921270. 4. CERCLA Site Discharges to POTWs: Guidance Manual, August 1990 540/G-90-005 ERIC: W150; NTIS: PB90-274531. 5. Environmental Regulations and Technology: The National Pretreatment Program, July 1986 625/10-86-005 ERIC: W350; NTIS: PB90-246521. 6. Federal Guidelines : State and Local Pretreatment Programs Appendices 1 -7 - Volume2, January 1977 430/9-76-017B ERIC: W185; NTIS: PB-266782. 7. Federal Guidelines: State and Local Pretreatment Programs Volume 1, January 1977 430/9-76-017A ERIC: U041; NTIS: PB-266781. 8. Federal Guidelines: State and Local Pretreatment Programs Appendix 8 -Volume 3, January 1977 430/9-76-017C ERIC: W186; NTIS: PB-266783. 12. Guidance Manual for POTW Pretreatment Program Development, October 1983 833/B-83-100 ERIC: W639 ; NTIS: PB93-186112. 13. Guidance Manual for Preventing Interference at POTWs, September 1987 833/B-87-201 NSCEP: 833/B-87-201; ERIC: W106 ; NTIS: PB92-117969. 14. 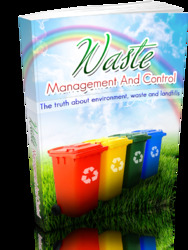 Guidance Manual for the Control of Wastes Hauled to Publicly Owned Treatment Works, September 1999 833/B-98-003 NSCEP: 833/B-98-003; WRC: 833/B-98-003; ERIC: C281. NTIS: PB2000-102387. 15. Guidance Manual for the Identification of Hazardous Wastes Delivered to Publicly Owned Treatment Works by Truck, Rail, or Dedicated Pipe, June 1987 833/B-87-100 ERIC: W202; NTIS: PB92-149251. 16. Guidance Manual for the Use of Production Based Pretreatment Standards and the Combined Wastestream Formula, September 1985 833/B-85-201 NSCEP: 833/B-85-201; ERIC: U095 ; NTIS: PB92-232024. 17. Guidance Manual on the Development and Implementation of Local Discharge Limitations Under the Pretreatment Program - Volume 1, November 1987 ERIC: W025; NTIS: PB95-157707. 18. Guidance Manual on the Development and Implementation of Local Discharge Limitations Under the Pretreatment Program - Volume 2 -Appendices, November 1987 ERIC: W026; NTIS: PB95-157699. Discharge Limitations Under the Pretreatment Program, December 1987 833/B-87-202 ERIC: W107; NTIS: PB92-129188. 20. Guidance to POTWs for Enforcement of Categorical Standards, November 5, 1984, Memorandum ERIC: W296; NTIS: PB95-157673. 27. Pretreatment Bulletin No. 6, June 1989 ERIC: W861 ; NTIS: PB95-159398. 30. Treatability Manual: Volume I - Treatability Data, September 1981 Revised 600/2-82-001A ERIC: W754 Treatability Manual: Volume II - Industrial Descriptions, September 1981 Revised 600/2-82-001B ERIC: W755 Treatability Manual: Volume in - Technologies for Control/Removal of Pollutants 600/2-82-00IC ERIC: W756 Treatability Manual: Volume IV -Cost Estimates, April 1983 Revised 600/2-82-001D ERIC: W757 Treatability Manual: Volume V - Summary, January 1983, Change 2 600/2-82-001E ERIC: W753 U.S. EPA Pretreatment Compliance Monitoring and Enforcement System Version 3.0: User's Guide, Final, September 1992 831/F-92-001; NSCEP: 831/F-92-001; ERIC: W269; NTIS: PB94-118577. 31. Provides water chemicals and equipment for potable, waste and process water in industrial, municipal and mining treatment systems.URL: http://www.tramfloc.com. 32. Tramfloc, Inc. - Home Page - Text Version - flocculant, coagulants. Provides water chemicals and equipment for potable, waste and process water in industrial, municipal and mining treatment systems. URL: http://www.tramfloc.com/indext.html. 33. Water and Wastewater Treatment Plant Operators Occupational Outlook Handbook; URL: http://stats.bls.gov/oco/ocos229.htm. 34. Control and Optimization of Wastewater Treatment Plants, Department of Systems... Research progress in wastewater treatment at Uppsala University. URL: http://www.syscon.uu.se/Research/waste.html. 35. 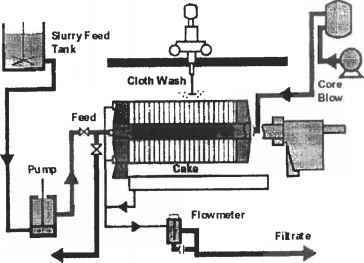 Wastewater Treatment and Metal Finishing Equipment ... Your complete source of new and reconditioned industrial wastewater treatment, metal finishing, and biological treatment systems and equipment. URL: http://wmi-inc.com. 36. Water and Wastewater Research and Co-operation Directory - European Centres of.. .The Water and Wastewater Directory is a data source of more than 750 European organisations from 31 countries. It offers an easy search for experts...URL: http://www.metra-martech.com. 37. Environmental Dynamics - Worldwide Wastewater Treatment Systems Wastewater : Environmental Dynamics, Inc. wastewater treatment. Biological wastewater treatment and advanced technology aeration-mixing systems. URL: http://www.wastewater.com. 38. Wastewater Treatment Engineering; Bureau of Land & Water Quality Last update: 03/12/01. Wastewater Treatment Engineering, Technical Assistance and Pollution Prevention. Waste Treatment; Go to the following web site: http://janus.state.me.us/dep/blwq/engin.htm. 39. International provider of water purification and wastewater treatment solution ... Waterlink is a provider of water purification and wastewater treatment solutions, carbon systems, separations technology, aeration systems, solids...URL: http://www.waterlink.com.